Head out for a self-guided (rentals from $9 per hour) or guided ($55/person for 3-hour tour) paddle on the bay through Kayak Horizons. Either way, you're likely to see dozens of the 100 or so bird species that call the bay home, and you'll probably spot a frolicking sea otter or two, as well. 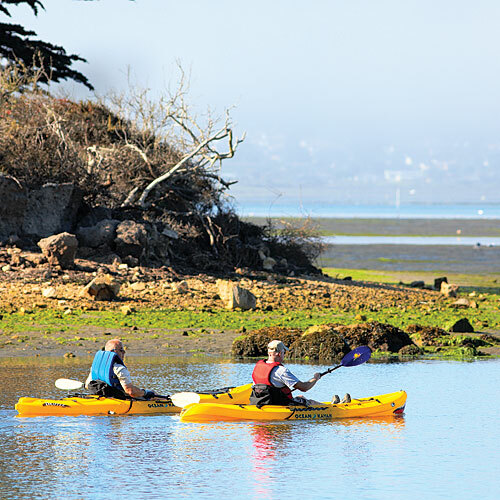 Head out for a self-guided (rentals from $9 per hour) or guided ($55/person for 3-hour tour) paddle on the bay through Kayak Horizons. Either way, you’re likely to see dozens of the 100 or so bird species that call the bay home, and you’ll probably spot a frolicking sea otter or two, as well.